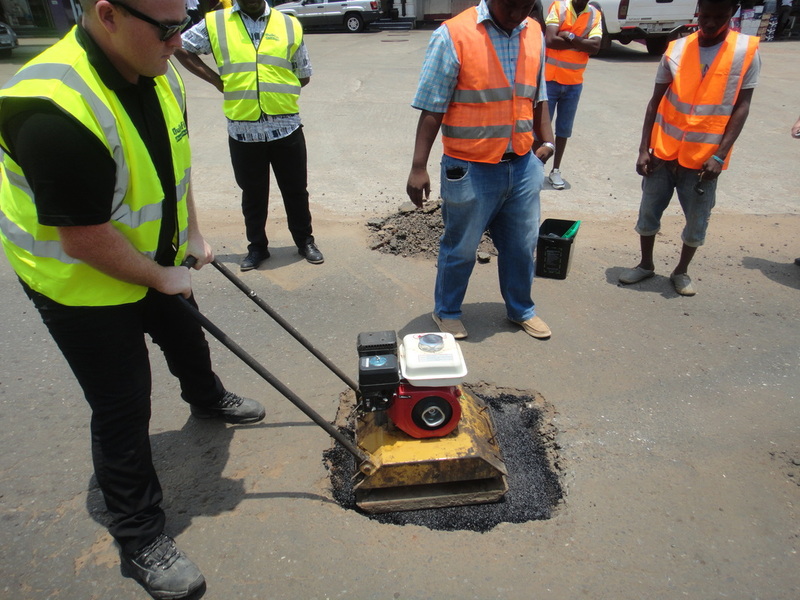 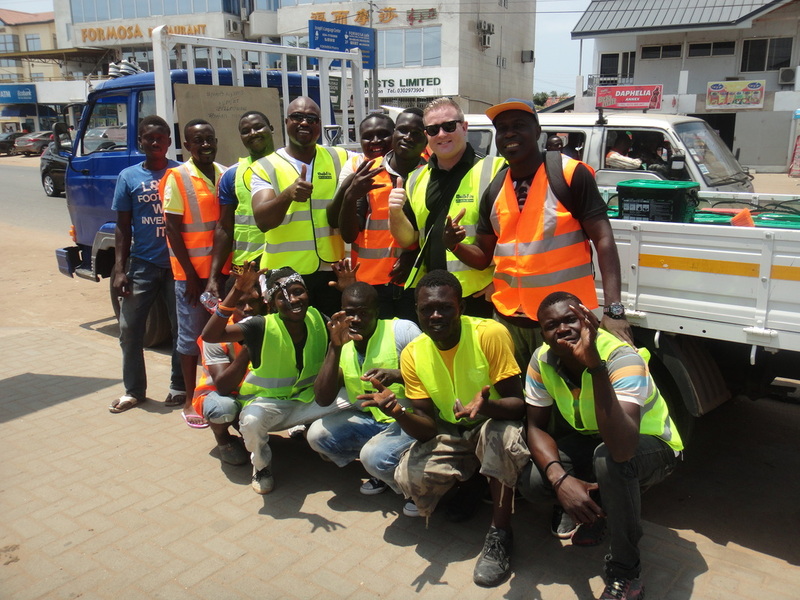 Following a successful laboratory test, Quikfix Instant Road Repair passed a field trial with flying colours in Accra, approving the product for use throughout the country. 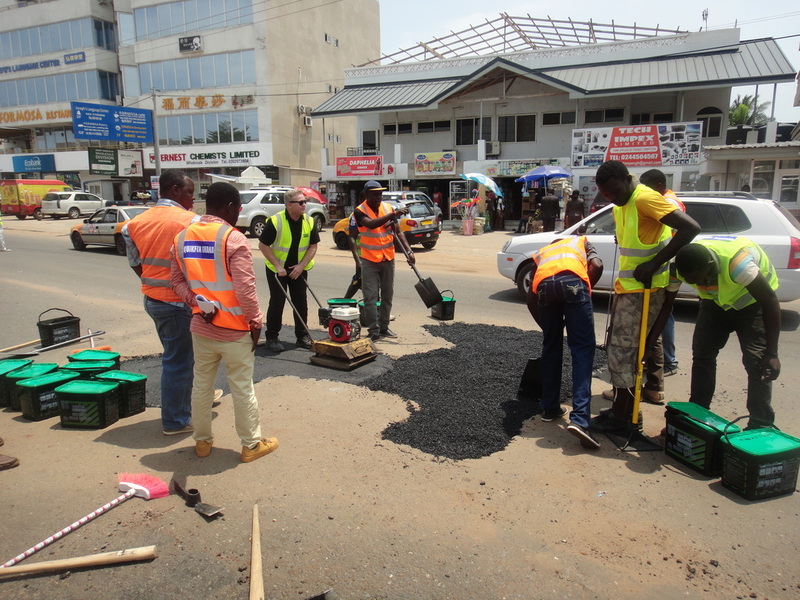 Organised by Ken Boateng, MD of Quikfix Ghana, the demonstration was witnessed by Government Ministers, officials of the Ghana Highway Authority and Urban Roads, Philip Deighton, Quikfix Executive Chairman, the media and interested members of the public. 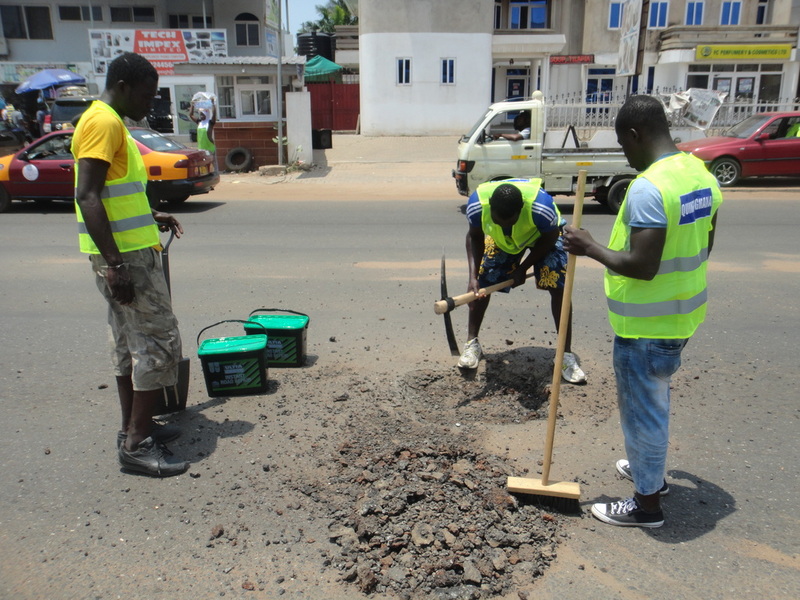 Only the lane being repaired was temporarily closed to traffic and was reopened immediately the repairs were completed. 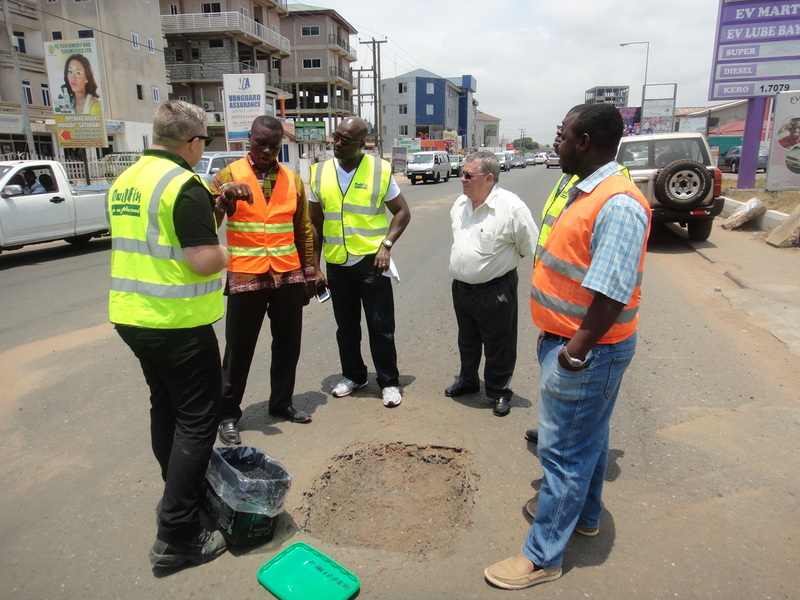 The Quikfix repair crew was supervised by Technical Support Manager, Mr. Nicholas Holmes.